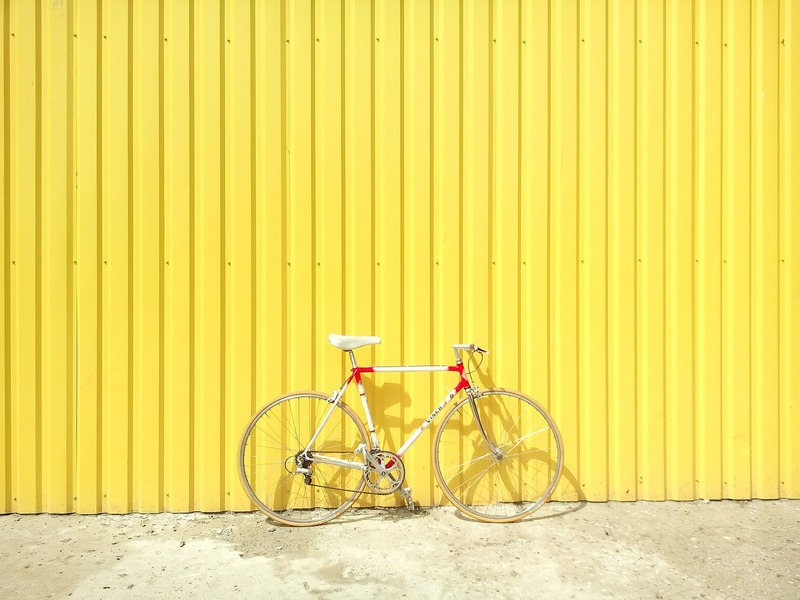 When is the last time you went for a bike ride? Cycling is a brilliant form of cardio exercise that builds stamina and strength and is a great whole-body workout. And there are lots of benefits to exercising outside in the fresh air – you’ll get a good dose of oxygen and and a great Vitamin D boost too. If you’re not a natural runner (which I am not) cycling is a great alternative to build fitness, de-stress and clear your head. And it’s also a lot of fun – just think back to when you were little. I used to love spending hours exploring on my bike! Cycling is also a fantastic mode of free transport, with safe ways to carry children or your shopping. Plus, you’re doing more exercise so you get to eat more cake, which is always good. I recently met with the very lovely Tina Walker, a Bikeability instructor who teaches at various schools and Children’s Centres in North Herts, as well as privately in Stevenage. Formerly a Programmer and Technical Author, Tina had a drastic change of career (as so many of us do!) after having children. She spotted a local advert for Bikeability instructors and successfully applied. The rest is history. As it turns out, teaching kids and adults to cycle is her ‘thing’ and she’s now been doing it happily for many years. Tina has also taught many children and adults with disabilities to cycle, including those with only one arm or one leg. Isn’t that amazing? Bikes can be modified to suit, or more specialist ones are available, and Tina says that when they get the hang of it, their joy is absolutely priceless. I highly recommend that children begin with a balance bike. It is much better than learning with stabilisers as they have to learn to balance first. Once your child has learnt how to balance, they can then progress to a pedal bike. Don’t let go of them until you are sure they can brake safely first. If you can’t afford a brand new bike, there are plenty of great second-hand kid bikes out there. Look for good brands such as Isla, Frog, Trek, Specialized and Decathlon. Ride behind and slightly to the right of your children. You then you have control of what they are doing and can talk to them while they are riding. At junctions, cyclists should position themselves in the middle of the traffic lane. When cycling on the road, always ride at least a metre from the kerb. This gives you wobble room and means that motorists have to give you more space. Hopefully you’re feeling motivated to get cycling this summer? If the answer is yes, then Stevenage Cycling Festival which takes place during June and July could be the perfect way to build your confidence back up. Tina is one of the organisers and says that there really is something on offer for everyone. You can join in with ‘led rides’, beginners cycling courses, and there are lots of family events for all of you to enjoy together. On Saturday 9th June, Tina is leading a Teddy Bears Picnic Ride which is a child-friendly easy cycle track-based ride over at Fairlands Valley Park in Stevenage. Tina says that this is a really lovely family event which is perfect for little ones to enjoy as it’s not too far and a very simple route. Of course you need to bring a picnic and your ‘bear’. Tina’s is a Jersey Cow! A big bonus is that most of the events during Stevenage Cycling Festival are free, so it is well worth checking out their schedule here. If you’d like to find out more about what Tina offers to help you or your child (or both!) with cycling confidence, you can visit her website. You can also follow Tina on Facebook and Twitter. Thank you Tina for sharing your expert advice with us. How can we improve our wellbeing? Hi! I'm Natalie. Mum to a five-year-old, wifey of seven years (no itch yet), and freelance writer/blogger from Hertfordshire. Left my digital comms job in London to be a work-from-home Mumboss. Inspiring busy mums to find more balance in their lives by sharing lifestyle tips, great places to go, and fab things to buy. Do you run a lovely small business in the UK? Join our growing Directory showcasing brilliant small businesses and the fabulous people that run them. 2018 - Mums Off Duty. All rights reserved.